If you’re looking into prices for laying a new driveway or the cost of replacing your old, worn-out one you should learn a bit about the kinds of options available to you before making any decisions. 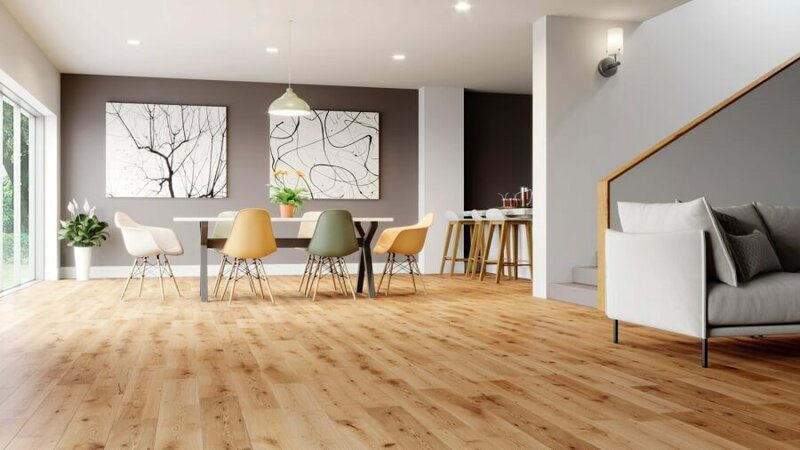 As it turns out, there’s a world of difference made by the material you park your car on and, as with any renovation around the house, a little planning and research can go a long way to getting you the best quality at the best price. Gravel driveways have a particular rustic charm which has led to their growing popularity in recent years. On top of aesthetic appeal, gravel driveways will cost you the least of all material options in the initial purchase, plus they possess the unique ability to withstand flooding, cracking, and sinking if properly applied. However, gravel driveways do require a greater focus on maintenance than most other driveway materials. The porous nature of the material can allow for weeds to grow through the surface and ruts to form that can fill with rain or ice, making puddles and slippery conditions. In fact, winter is a noteworthy problem for gravel driveways in snowy regions since shoveling and snowblowing the surface becomes very difficult and can result in extra work raking gravel back to the driveway, or extra expenses if new layers are required to make up for materials lost. Asphalt driveways cost is typically about double that of gravel driveways, but is also about half that of concrete. For that reason alone it has become one of the most popular materials for paving across the country. But asphalt is more than just cost effective. The material is based in tar and petroleum binding agents and so possesses a level of flexibility which allow it to endure harsh weather without easily cracking or expanding. This has proven particularly helpful in parts of the country where freezing temperatures are a common occurrence. And, when it does finally need repair, asphalt cracks are easily sealed and strengthened. All that said, asphalt driveways require a fairly high level of maintenance, some kinds needing a new coat of sealant every year or so to maintain an appearance and consistency which homeowners want. These maintenance costs, however, are usually reasonable given the necessity of the investment though they can increase greatly depending on your choices of asphalt finish. 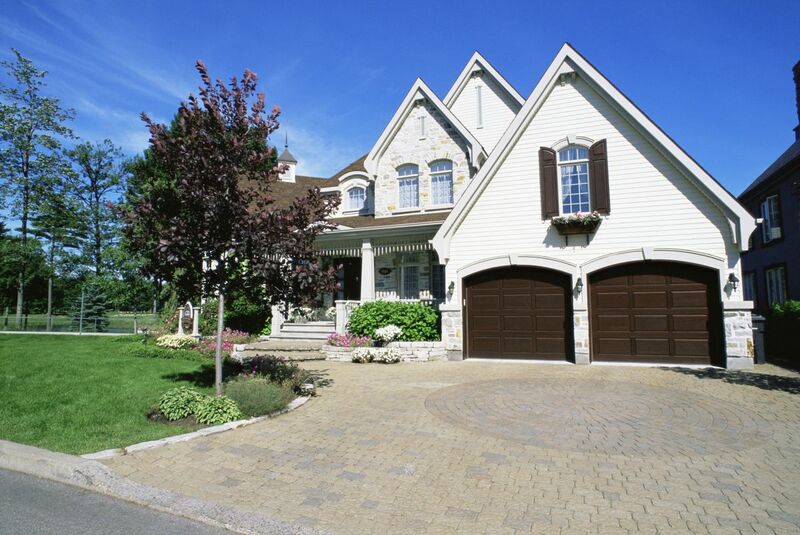 Stamped, tinted, or otherwise patterned blacktop driveways will cost more to treat and to ensure lasting durability. Your concrete driveway cost is going to be more varied than nearly any other material selection simply because of the varied possibilities which concrete presents. Options range from basic installations to tinted colorings to multiple colorings and patterns in stamped concrete driveways, the most upscale of which are nearly identical to limestone, sandstone, and even flagstone with a significantly lower price tag. This ability to customize, along with concrete’s exceptional durability, make it the favored option for American homeowners today. However, improperly cared for concrete is more liable to crack than other materials and concrete driveway repairs can be costly depending on the depth the crack reaches. That said, caring for a concrete driveway is often as simple as washing it with a stiff brush and some pressurized water or applying an occasional coat of sealant to protect against things like cracks and salt damage. These maintenance costs do, however, increase according to the specialized nature of your particular driveway. Remember that the immense variety within the concrete supplying field means that you have more say in how much your cement driveway will cost than with any other driveway paving material but some options will always be more expensive than others. In recent years stamped concrete has become an increasingly popular solution for homeowners who want an intricate appearance but don’t want the expense of natural stone installations. And, without a doubt, you can count on stamped concrete costs to fall far beneath estimates for driveways paved with things like brick and high-end stones, but this material is even more enticing given its concrete nature. Just like basic concrete, it is highly durable in nearly any weather conditions and it’s durability is surprisingly even increased by the multiple coats of color hardeners and protective sealants applied during the initial installation. But, this doesn’t mean that a stamped concrete driveway is a one time investment. Given the intricacy and detail applied to it’s appearance, as well as the increased cost, you’ll want to take particular care to pressure wash the surface with more regularity and to apply higher quality sealants, especially heading into winter when damage is most likely. A full brick driveway will cost more than every other option listed in this article, almost exclusively because of the high price of individual brick installation. But it’s worth remembering that such a project is projected to increase both your home’s air of luxury and its eventual resale value. Additionally, brick is renowned for being one of the most easily maintained and repaired driveway surfaces, especially because it is possible to replace a single brick if need be, instead of an entire section, if repairs are needed. For the most part, this option is a one time investment, as it requires little more than an occasional wash and re-sealing to maintain it’s appearance. That said, it still is a high cost for installation and the complex nature of the work discourages do-it-yourself work for most homeowners so many have elected to use bricks as an accenting feature, or border for other, more affordable paving options. Either way the tasteful use of brick in your paving plans is sure to add distinction and class to the first part of your property that many see.